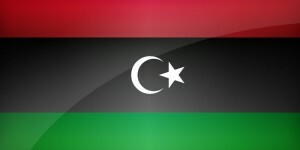 Tripoli, 4 September 2014: The Libyan Ambassador in Cairo, Abdul-Aziz Jibril, has denied saying that the Libyan Ambassador to Turkey has been recalled. He told the Libya Herald that reports quoting him as saying that Ambassador Abdulrazak Abdulqader had been recalled from Ankara because of a row between the House of Representatives and Turkey were false. He added that he was frustrated with the media for making the claims. Abdulqader was still in Turkey, he said. Meanwhile, however, businessmen in Tobruk have said they will boycott Turkish goods over the spat. The hostilities were prompted by comments from Turkish President Recep Erdogan on Al-Jazeera TV. He reportedly said that Turkey could not accept the Libyan legislature’s meeting in Tobruk, a statement that has been made in the past by Libya Dawn, the coalition of Misratan-led armed groups currently controlling Tripoli. On Monday the Ministry of Foreign Affairs said it was ‘surprised’ by what it had perceived as the ‘blatant interference in Libyan internal affairs’. It called on Erdogan to clarify his statements noting that he had congratulated the newly-elected House of Representatives after it held its first session in Tobruk in August. The Turkish government is widely viewed in Libya as supporting the Libyan Muslim Brotherhood since the revolution, alongside Qatar. Libyan Muslim Brotherhood figures are known to visit Turkey regularly for meetings and use it as a safe haven. The significance of Libya within the context of the region’s ideological fault-lines came to the fore last month when it emerged that the UAE and Egypt, both bitterly opposed to the brotherhood, had collaborated to bomb positions in Tripoli held by armed groups sympathetic to the Islamist movement. The Tobruk-based Operation Dignity, which has offered protection to the House of Representatives, has been seen to have the backing of both Egypt and the UAE. Last week Emirati authorities rounded up at least 30 Libyan nationals believed to have ties to the Muslim Brotherhood and Libya Dawn. The GMBDW reported in June that unknown gunmen had kidnapped a leading member of a Libyan political party described as affiliated with the Muslim Brotherhood. We also reported in June that Libyan militias tied to the Muslim Brotherhood had stormed the offices of the country’s prime minister. In May, the GMBDW recommended a new report on the current situation facing the Muslim Brotherhood in Libya which concluded that the Brotherhood organization does not have high levels of public support. The GMBDW reported in January 2014 that the Libyan Muslim Brotherhood has withdrawn its five ministers from the government of Prime Minister Ali Zeidan. For analysis and background on the Libyan Muslim Brotherhood, go here, here, and here.